Can education, notions of deliberative democracy and intercultural integration come together to rescue our dysfunctional democracies? 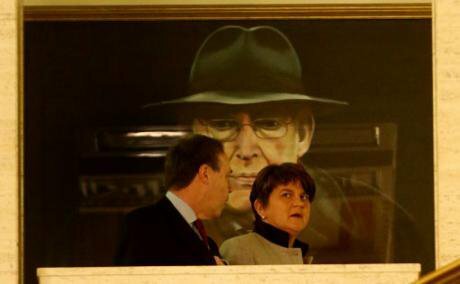 DUP leader Arlene Foster and deputy Nigel Dodds walk under a portrait of Former Leader Ian Paisley at Stormont in Belfast.Niall Carson/ Press Association. All rights reserved.In mid-January, the power-sharing institutions in Northern Ireland collapsed once more, as the main Catholic party, Sinn Féin, political wing of the IRA, refused to remain in power with its predominant Protestant counterpart, the Democratic Unionist Party, political offshoot of the Free Presbyterian Church of the late Ian Paisley, accusing it of sectarian ‘arrogance’. An election will be held to the Stormont assembly on 2 March but few observers expect a renewal of the diarchy between SF and the DUP, though certain to be re-elected as the dominant parties, any time soon. This might seem just a minor story about a small region in western Europe, especially since the large-scale conflict which beset it during the quarter century from 1969 until the paramilitary ceasefires of 1994 is not going to be renewed (although that is no consolation to the victims of the continuing low-level violence). But pull back the spotlight a bit and in Bosnia-Hercegovina, Macedonia and Lebanon – the three political entities where in recent decades, as in Northern Ireland, power-sharing has been essayed between ethno-political and paramilitary protagonists after major interethnic conflict – the same story emerges of dysfunctional democracy in still failed states. Pull back further again and observe how populist campaigning against a demonised Other has become the default political style in formerly highly stable democracies – including ‘Brexit’ Britain (‘immigrants’) and a Trumpised USA (‘Muslims’). From Putin’s Russia (‘foreign agents’) to Orbán’s Hungary (refugees) and (de facto) Kaczyński’s Poland (‘Communists’) to Erdoğan’s Turkey (an exiled cleric), autocratic power has been consolidated by representing a supposedly undifferentiated ‘people’ as threatened by the Barbarian at the gate. As the late Italian political scientist Norberto Bobbio pointed out, the unit of every democratic constitution is the individual citizen, while ‘the people’ is the ventriloquist invocation of every dictator. But populism is threatening to overwhelm democratic institutions with a toxic contagion of fear and mistrust. The irony is that populism only works if ‘the people’, far from the collective self-image portrayed of unity and strength, in reality comprise an atomised mass—a bag of potatoes, as Marx dismissively described the French peasantry. Bewildered by a world which has left them behind, their social relationships characterised by anomie rather than trust, such individuals can then be receptive to, and dependent upon, a ‘strong man’ (it always is). For he can, in an imaginary way, elevate them from their marginalised, ‘little man’ status into that of a supposedly equal member of an esteemed national majority. As in Germany after the punitive Versailles treaty, in every society today in which the populists have established a hold, the idea has become embedded that the ‘nation’ is put upon by perpetual foreign depredations, alone retarding its natural greatness. A further irony is that these nationalistic populisms, defined by their specificity – only our ‘people’ can be special, after all – depend on their mutual counterposition. Hence, in January 2016, a popular Polish news magazine portrayed EU leaders, and the German chancellor, Angela Merkel, in Nazi uniforms, under the headline ‘These people want to control Poland again’. The hot-and-cold relationships between Trump and Putin, Putin and Erdogan, demonstrate this ambivalent interdependence. The Rev. Dr. Inderjit S. Bhogal, OBE, Leader of the Corrymeela Community, speaking at the Centre in 2012. Wikicommons/Andrewincowtown. Some rights reserved.It is through these two banal mechanisms, of imagination and imitation, that the evil of populism spreads. To counter it, and to strengthen the bulwarks of democracy against its assaults, individuals clearly need to be able to identify themselves as citizens who are bearers of human rights, subject to the rule of law and capable of democratic participation in dialogue with others – including others of different genders, ethnicities and social classes – on an equal footing. Underpinning this is a respect for individual human dignity, unsurprisingly inscribed in the first article of the 1949 Basic Law defining post-war Germany. Democracy used to be thought of in political science in simple terms. Robert Dahl’s ‘pluralist’ conception fitted a dominant, 1960s United States where it could be presented as a stable political contest, aggregating preferences among taken-for-granted ‘interest groups’, operating within a national container. It was a theory which could not outlast the upheavals of an era in which labour and other subaltern groups – particularly women and members of ethnic minorities – felt empowered to challenge social hierarchies and capital correspondingly sought to break the bounds of national regulation, even at the expense of creating a runaway world of more or less chronic economic disequilibria and political crises in the decades which have followed. Since around 1990, the pluralist approach has given way to a new paradigm of ‘deliberative democracy’, led by thinkers such as John Dryzek. It has come to the fore because it has recognised that individual preferences have to be explored, rather than assumed, and that they can change through debate in the public sphere. This is not to deny conflict or exclusion – far from it: it is to make the normative case for an enriched democracy in which all citizens can contribute equally to decision-making, which can transcend mere strategic and instrumental considerations. And the ‘deliberative turn’ in political science has taken place because it chimes with more individualised, educated and cosmopolitanised societies. Whereas the populists present themselves, wholly disingenuously, as scourges of the conventional pluralist ‘elites’, deliberative democracy is an authentic response to the crisis of engagement which the ‘hollowing out’ of the old political parties (as the late Peter Mair described it) has engendered. So let us zoom in again on Northern Ireland. As a case in point of democracy in perpetual crisis, what does it tell us, in extremis, about the problem – and does it point towards any potential solutions, of wider application? What does it tell us, in particular, about democracy and education? Northern Ireland is the site of two ambivalent populisms – British and Irish ethno-nationalisms. These reflect the inability of their respectively ‘unionist’ and ‘nationalist’ adherents to live together with their neighbours of another religious background. For they are not just (as they overwhelmingly break down) Protestant or Catholic, but are committed to a state which supports their ‘side’ against the other, rather than being impartial as it has long been recognised in (most of) Europe must be the case, if all citizens are to enjoy freedom of conscience in multi-religious societies. It has been a fundamental feature of that social modernisation in Europe that, as Tönnies famously recognised, Gesellschaft (society) supersedes Gemeinschaft (community) – that is to say, a reflexive individual must find their way in the world with their peers, rather than simply assuming they are part of ‘communities of fate’, as Anthony Giddens once described the Northern Ireland predicament. However diverse today’s far-right populisms may be, they have in common a singular trait. They each conjure up a mythical golden age of a supposedly homogeneous ‘community’ sanctioned by national ‘tradition’, sullied by the invasion of the alien Other – most notably today, the ‘Muslim’ – whom the ‘elite’ has unconscionably failed to hold at bay. Trump, with his Muslim ban and his Mexico wall, embodies it perfectly. His unfortunate difficulty is that what made America uncontestably ‘great’ in the twentieth century was the serial inflow of refugees and migrants at the heart of every social innovation, from jazz to Hollywood to Silicon Valley. Likewise in Northern Ireland – and the foremost European expert on the radical-right populists, Cas Mudde, places the DUP firmly in that political family and SF on the margin of it. The DUP leader, Arlene Foster, made plain she would welcome Trump to Northern Ireland and her über-British position on the union put her firmly in the Brexit camp – despite this being wholly against the material interests of Northern Ireland’s disadvantaged and EU-supported citizenry. SF meanwhile has always loudly condemned ‘revisionist’ (ie modern) histories of Ireland which have challenged the notion that all of its ills stem from ‘British imperialism’ and the seventeenth-century Protestant plantation of Ulster. Naively, the UK and Irish governments in 1998 implanted in Northern Ireland a power-sharing system based on the pluralist model of democracy, assuming the associated permanent negotiation and bargaining would not repeatedly dissolve into deadlock and collapse, as the protagonists jealously guarded the mutual vetoes they had ensured the Belfast agreement enshrined. A policeman on patrol at a peace wall in Belfast. Paul Faith/ Press Association. All rights reserved. That has left those of us concerned for reconciliation in Northern Ireland with our backs to the wall – to scores of walls, in fact, as the number of physical barriers at sectarian interfaces, particularly in Belfast, has proliferated since the ceasefires, with only modest moves to offset that trend in recent years. The predominant parties, meanwhile, have diluted the (theoretical) statutory commitment under ‘direct rule’ from Westminster to promote integrated education in the region – some 93 per cent of children still go to segregated schools – in favour of a ‘shared’ alternative which would leave clerical hegemony unchallenged. But we have at least learned some salutary lessons as to how Europe’s cosmopolitans should fight its populists. Education is indeed central and if diversity is to be managed effectively in contemporary society education must be about something more than the instrumental accumulation of the elements of an employable cv. Education has to be about the socialisation of rounded citizens, able above all to think for themselves and with the intercultural competences to improvise relationships with their peers which are enriching and fulfilling rather than marked by tensions and frictions. 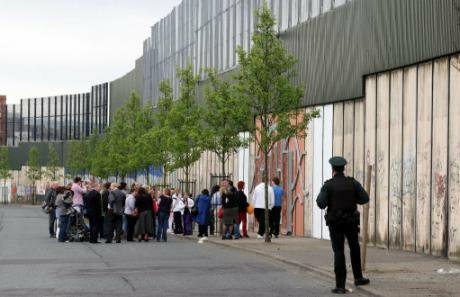 Pioneers of the citizenship strand of education introduced at early-secondary level in Northern Ireland in 2007 are disappointed that, having won plaudits at its inception from educationalists elsewhere, it has lost its ‘critical edge’ and ‘political bite’, as one expert put it. Secondary schools, particularly the grammar schools which remain in the region (almost uniquely in Europe), tend not to foreground it and, another educationalist complained, to teach it like religious education – in a didactic way at variance with the fundamental goal of stimulating critical thought. The wider Council of Europe pedagogical experience suggests that non-formal education projects can often be more effective in engaging young people, including because of their practical dimension. And that brings in the role of non-governmental organisations. With the best will in the world, even teachers well trained themselves in intercultural competences – and all teachers in today’s world should be required to have a masters in education, as in Finland –will struggle to cope with every possible classroom scenario. Specialist NGOs, which have built up large repertoires of tacit knowledge and contacts, particularly with individuals from minority backgrounds, can be a major resource in moderating intercultural dialogues. Unfortunately, this has gone so under-appreciated in recent years in Northern Ireland that the two key youth-oriented NGOs working in the area – the Spirit of Enniskillen Trust and Public Achievement – have had to fold due to financial difficulties, when modest support from the government at Stormont could have saved them. Adults too, of course, need to meet ‘strangers’ who can be turned into individuals whom they come to know and with whom they feel they share a common humanity. Reconciliation NGOs in Northern Ireland, such as the Corrymeela Community – which was founded in the 1960s as an ecumenical initiative by a former prisoner of war in Dresden who witnessed the bombing of the city – have done sterling work in establishing safe spaces for dialogue across the sectarian divide. Corrymeela has opened up to the growing population of refugees in Northern Ireland, some of whom have joined its volunteers. The Belfast Friendship Club, established in 2009 when there were two vicious incidents of racist expulsion in the south of the city – against Poles and Roma – has sought in contrast to model an ethos of hospitality for a cosmopolitanised future. Around its tables, every Thursday night, in a convivial café called ‘Common Grounds’, 40 to 50 individuals from perhaps 15 countries gather just to talk and to find out about activities they can join. Dialogue can thus become ‘banal’ ­– in a good way – too. And this is where the notions of deliberative democracy and intercultural integration come together. Civilised societies are those in which individual citizens of diverse backgrounds find the means to engage, in the public sphere and via elected representatives, in dialogue which leads to collective solutions. If that fails, the siren voices of the populists grow louder. If those voices succeed, however, civilisation itself is the victim. 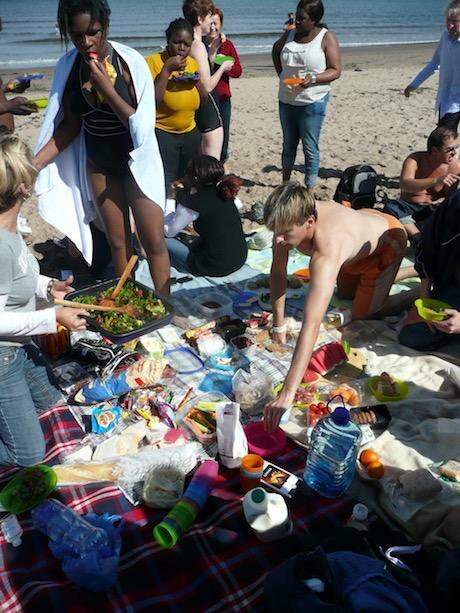 The Belfast friendship Club on its first summer holiday. Stephanie Mitchell. All rights reserved.